Another start to a long busy week, but the its excitement of Beta 5's Ice Cream Socials are what keep me going! This past Saturday, Beta 5 gave us a fabulous childhood inspired sundae, S'mores! No summer camping trip is ever complete without huddling around a crackling fire and roasting marshmallows to make gooey warm s'mores. In fact, I found s'mores to be the best part of camping! Haha and many times, we would make s'mores in our backyard fire pit because it is just that good! I also need to give an applaud to Beta 5 for finally making me like chocolate ice cream. I know, gasp! I am not a big chocolate ice cream lover, yet I am absolutely obsessed with chocolates! 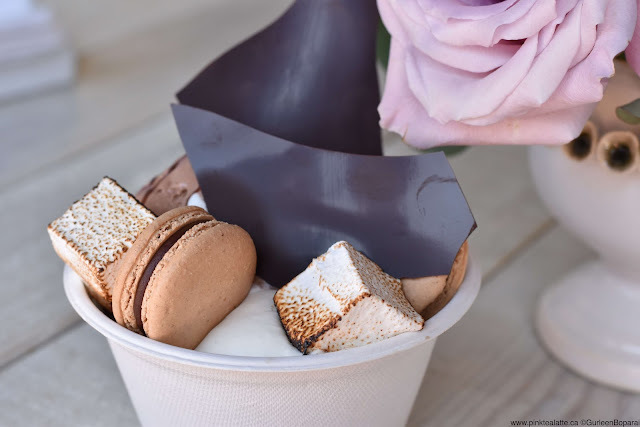 The S'mores features a scoop of 66% dark chocolate ice cream, a scoop of ceylon cinnamon ice cream, graham cracker macarons, toasted marshmallows garnished with vanilla chantilly, chocolate sauce and dark chocolate shards. Perhaps the reason why I liked this chocolate ice cream was due to it being made from quality 66% dark chocolate. The graham cracker macarons were super yummy. The macaron cookie was crisp versus the usual texture of chewy. The toasted marshmallows were alright. 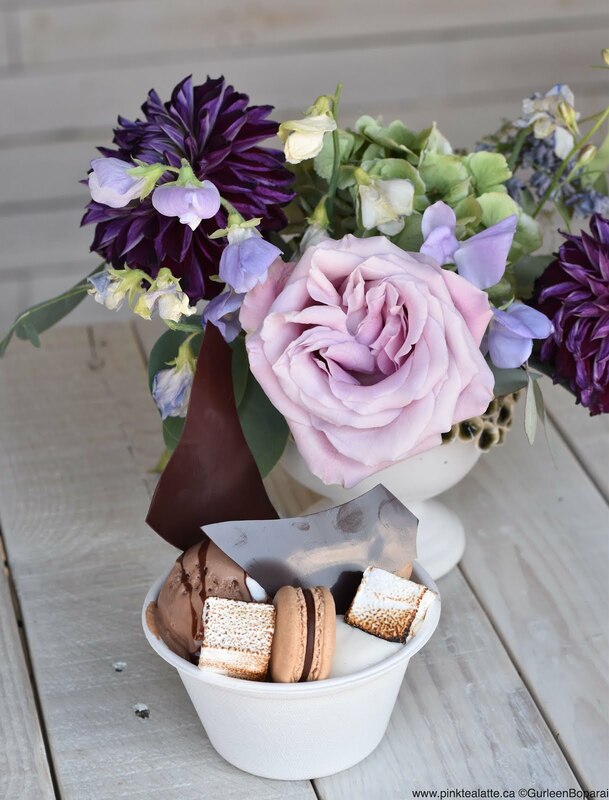 I think Goodmallows definitely makes better mallows! My favourite part of this sundae was actually the ceylon cinnamon ice cream. Ceylon is a type of cinnamon that is native to Sri Lanka and is far more expensive than other cinnamon varieties. I actually thought ceylon was a type of tea until I googled it for this post! The flavour of this ice cream was fragrant and really complimented the robust 66% dark chocolate. This is totally random, but it was really annoying that the chocolate shards had fingerprints on them. It is frustrating when I am photographing the sundae because the fingerprints definitely detract from the sundae itself. I realize that the Beta 5 team is assembling the sundaes quickly to keep up with the incoming orders. Maybe they can pick up the chocolate shards by the edges? Super random and I am not a germaphobe. It just bothered me when I was trying to take pictures of the sundae! Though Beta 5 has gotten me to like chocolate ice cream, I definitely still prefer fruit ice creams and sorbets! I hope Beta 5 does a mango sorbet sundae this summer as mango is my favourite fruit! I did get a chance to speak with Adam Chandler, the fabulous pastry chef behind Beta 5's creations and expressed my love of mango! Fingers crossed!